Happy Fourth of July! Hope it finds you all safe. 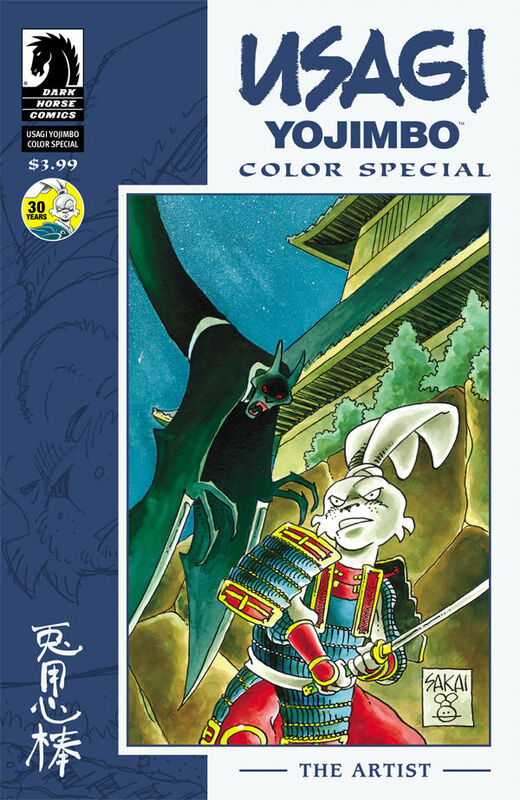 Celebrating 30 years of the bunny with brawn (and a very sharp sword), creator Stan Sakai brings us the Usagi Yojimbo Color Special: The Artist, a new one-shot coming this month from Dark Horse Press. 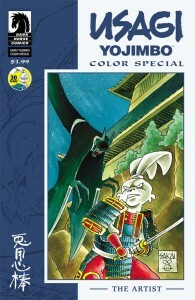 “The artist of 47 Ronin returns to his signature creation in a new one-shot collecting four Usagi Yojimbo tales in full color, from the pages of Dark Horse Presents and MySpace DHP! In this issue, Usagi encounters ghosts, thugs, pumpkins(?! ), and a foreign artist with a price on his head!” You’ll find it at the Dark Horse web site and of course many other places.